You don't need cable TV to watch NBC's 1,800 hours of Oympic coverage. The Winter Olympics and Paralympics are about to begin, and access for cord cutters to the games has never been better. NBC will begin its coverage on February 8 and plans more than 2,400 hours of Olympics programming, up to the closing ceremony on February 25. TV broadcasts will be spread across local NBC affiliates and three cable channels: NBCSN, CNBC, and USA Network. The Olympic Channel will serve as a rolling “Team USA” news channel, but won’t offer live coverage. Paralympics coverage in March is much less ambitious and is almost exclusively on NBCSN. The easiest way to tune into the Olympics is via an antenna and your local NBC affiliate. If you live in a city, you can probably get away with an indoor antenna that costs less that $50. We like the MoHu ReLeaf and the RCA Skybar digital antennas, which both cost $40. But you might need an attic- or roof-mounted antenna if you live a bit further away from a transmitter. 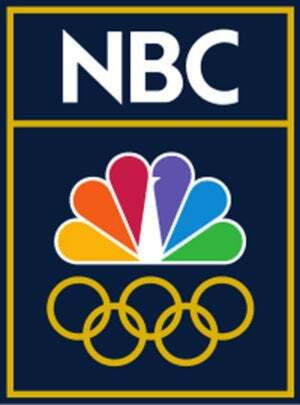 NBC’s national broadcast network will air 176 hours of Olympic programming with live prime-time coverage in all time zones, but check the NBC TV schedule to make sure your favorite sport is included. If not, you’ll need a subscription to a streaming service, outlined below. TechHive has a complete guide to choosing a TV antenna, and we explain why you should have an antenna even if you can get TV via cable or the internet. As a bonus, the antenna will pull in plenty more live sports through the year. While an antenna will get you free access to 176 hours of major competition, you’ll need a pay TV subscription to access NBC’s complete Olympic offering. That includes 455 hours on the cable networks and 1,800 hours of coverage on the NBC Sports app and NBCOlympics.com. Read our roundup of the best TV streaming services to learn how they compare and contrast. Most streaming services carry most networks, and many also have local broadcast stations, but it depends where you live. Logins for all the major streaming services should work on NBC’s online services. Before you subscribe, take advantage of the free trial option and make sure the service gives you a good picture quality and you can access NBC Sports online. Sling’s Blue package carries local broadcast stations in only a handful of major markets: New York, Los Angeles, Chicago, Philadelphia, Dallas/Fort Worth, San Francisco Bay Area, Washington D.C., Miami/Fort Lauderdale, San Diego and Hartford/New Haven, At $25, it’s the cheapest monthly subscription you can get that includes NBC, NBCSN, CNBC and USA Network, but you’ll pay an extra $5 for The Olympic Channel. Sling works with Roku, Amazon Fire TV, Apple TV, Android TV, Chromecast, and smart devices from Samsung, LG, LeEco, ZTE, and Xiaomi. You’ll find our review of Sling TV here. Check your local channel line up at Sling’s support site. If you’re just interested in the Olympics, the sports-heavy Fubo TV service is the way to go. It costs $20 for the first month of service, but the price then jumps to $40 ($45 in New York and New England), so it’s only the cheapest if you intend to cancel after the first month. The basic package includes all the NBC channels carrying Olympics coverage and The Olympic Channel. Fubo is compatible with Android and iOS devices, Apple TV, Amazon Fire TV, Roku, Chromecast, and is in beta for Android TV. We recently updated our opinion of Fubo TV. Fubo lists the local broadcast affiliates available. Google’s subscription TV package comes with all the familiarity of YouTube and costs $35 per month. All NBC Olympics networks are included. Make sure your device is compatible. It’s restricted to Android Lolipop, iOS 9.1 and above, or a web browser. It can also stream on TVs via Chromecast, Roku, Android TV, some Samsung and LG smart TVs, Xbox One, and Apple AirPlay. You can find a list here of all the markets where YouTube TV has launched. And here’s a link to our review. 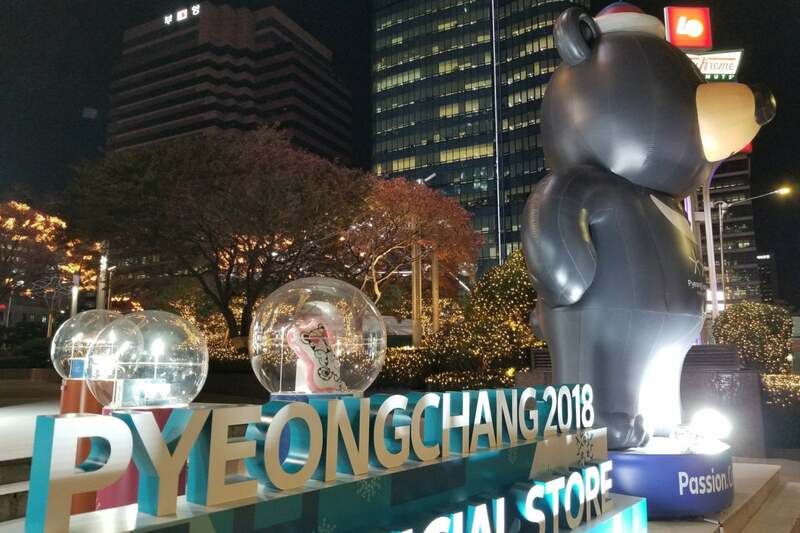 An Olympic mascot is displayed in downtown Seoul, South Korea, on November 21, 2017. The streaming offshoot of the satellite TV provider offers NBC, NBCSN, CNBC and USA Network in its cheapest package at $35 per month. A package that includes the Olympic Channel is $60, so look elsewhere if you want that channel, too. 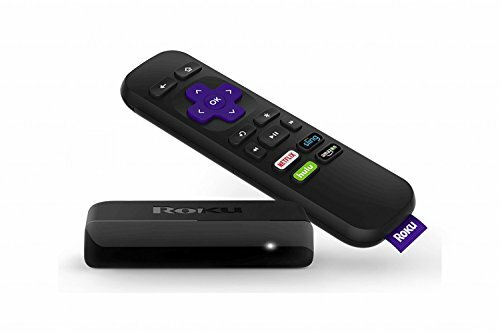 It’s compatible with Roku, Apple TV, Amazon Fire TV, Chromecast, Android, and iOS devices and browsers. DirecTV Now is one of the few streaming services that doesn’t offer DVR service, which is part of the reason we’ve scored it so low. You can check local channel access with your zip code. Hulu’s live TV service costs $40 per month for a package with all the Olympics coverage and also comes with the company’s streaming library. Live TV is compatible with a wide range of devices including iOS, Android, Roku, Fire TV, and Fire Stick, Apple TV (4th gen), Chromecast, Xbox One and Xbox 360, and some Samsung smart TVs. We haven’t assigned this service a review score because it’s still in beta, but you can read our opinion of it here. Hulu lists all channels available via a link on this page. 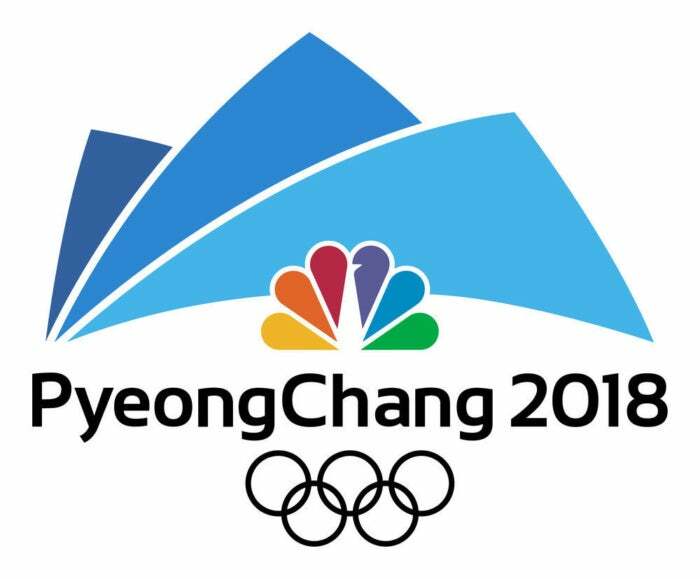 The “Access” package of Sony’s streaming TV service offers NBC Olympics coverage the major broadcast networks in many markets and a bundle of other channels for $40 per month with a five-day free trial. An extra $5 buys the “Core” package that adds The Olympics Channel. Despite the name, you don’t need a PlayStation to watch. Vue is also compatible with Roku, Amazon Fire TV, Apple TV, Android TV, and via the web. PlayStation Vue is currently our top overall pick in streaming service, although not necessarily because of its Olympics coverage offering. Check local channel availability with your zip code. The newest online streaming destination doesn’t offer access to any NBC networks at present, so streaming’s most affordable service won’t help you with Olympic action. We haven’t formally reviewed Philio, but you’ll find our first impressions here. If you want to avoid paying altogether, all of the services mentioned offer 5- to 7-day free trials, so you could string out three of these across the 18 days of coverage. If you do that, just be sure to cancel before you’re billed for a month of service.